Tuscany is one of the great destinations of Italy and, indeed, of the entire world. The beautiful scenery comes from the large tracts of agricultural land placed on rolling hills, ... moredotted with cypress tress and crossed with the famous strada bianchior white-colored dirt roads. It is hard to say whether Tuscany is better known for its food or its wine and this toss-up is what makes this region perfect for a combination Food & Wine Vacation. We start our tour in Florence, capital of the Medici, and hit major areas including Chianti, Arezzo, Assisi, and Montepulciano, with a side trip into Umbria. Our days are filled with wine tastings, visits to local food producers and sellers, and even truffle hunting in the forests visited by few tourists. We meet at our Florence hotel at 1:30 PM and set off on an exploratory walk of the city, focusing on the history and culture of the city through the eyes of a food lover. (If you wish to visit the David or any of the other impressive historical sites, you should plan on arriving to Florence a day early.) Your guide, Giovanni, is a wealth of knowledge about all things Tuscany – food, wine, history, and culture. In the late afternoon, we’ll stop at B.Gallo, a “loungeaperitif” where we’ll toast the waning day with a Prosecco, the famous Italian sparkling white wine. We’ll then make our way to a quaint family-owned restaurant for a lovely welcome meal. After dinner, we head back to the hotel and rest up for tomorrow’s adventures – our first full food and wine day in Tuscany. We check out of our hotel and begin our day by exploring the Saint Ambrogia Market. This diverse market is less touristy than say Mercato Central which means we get a glimpse of how everyday Tuscans shop for their daily meals. We’ll have time to stop and sample the wares of the various merchants along the way. Next, we are off to one of the most famous wine regions with one of the most famous wine styles in Italy: Chianti. 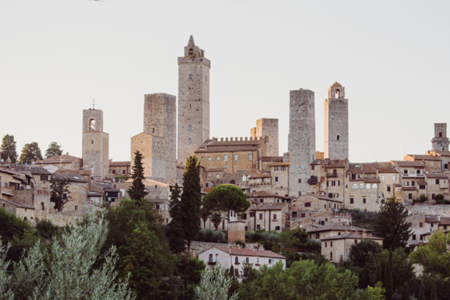 Our first stop is the picturesque city of San Gimignano, a small medieval walled town famous for its dozen or so towers sticking up into the sky. After exploring the town on foot, we’ll head to the local Fattoria Poggio Alloro for a lunch of food products from this farm, such as the Chianina brand of beef and the saffron spice which has been locally grown since the 13th century, paired with the white wine Vernacciadi, also grown on site. We drive in the morning to Arezzo to visit Vestri Cioccolato, a chocolate maker that has been producing delicious chocolate for 30 years and which owns its own farm in the Dominican Republic. Not only do they make their own chocolate but they also roast their own coffee. We’ll learn about the chocolate-making and roasting processes and, of course, sample a few of their creations. We then jump back in our vehicle to transfer to the center of town where you can explore the various cafes and restaurants for lunch on your own. After lunch, we visit the nearby small town of Anghiari, famous as the site of the Battle of Anghiari in 1440 between the armies of Florence and Milan. This is also your guide Giovanni’s home in Tuscany. Next, we’ll visit the world-famous Busatti linen factory, sold in such outlets as William & Sonoma. This family-run business has been based in Anghiari since 1842. The factory tour is extremely interesting and you can purchase products to take home, although they are not cheap! We head to the walled town of Sansepolcro to check into our hotel for an hour’s rest and then visit a local hotspot, Enoteca Guidi, which is a combination wine bar and restaurant that serves outstanding local cuisine in a casual setting. Most tourists don’t make it to the section of Tuscany called the Upper Tiber Valley. Even fewer travel to the hamlet of Badia Tedalda, 40 minutes up into the Apennine Mountains. But it is here we will travel this morning, specifically to visit Augusto Verando Tocci, a botanist famous for his pursuit of the equally famous truffle. Verando will take us into the forest with his trusted dog to look for truffles, which can be found in this area at any time of the year. Successful or not, we will return to his home to participate in a cooking class and lunch involving many of the edible plants and roots found in the forest, including the local liquor Spinello. After lunch, we’ll return to Sansepolcro for walking tour of this adorable village with a stop at Pasticcera, a local bakery and artisanal gelateria. Many gelato stores in Italy do not make their own product but purchase it from a big manufacturer, so this will be a special visit. Our dinner tonight is at Relais Palazzo di Luglio, situated on 30 acres in the countryside outside Sansepolcro. The owner Giuliano previously owned one of the most successful restaurants in town and produces an elegant, traditional Tuscan dinner featuring whatever is in season. Yes, this is a food and wine tour of Tuscany but nearby Umbria is well worth a visit. We’ll start out with a visit to the very small and local olive oil mill of Emanuele Ragani and his family. Emanuele will not only show us how the mill, with an actual grist stone, operates but will fire up a wood oven, heat up bread, and pour delicious olive oil on top for a tasting. We then head to Assisi, the city made famous by St. Francis, for a tour of the city and the church where he is buried. Assisi is a great town to walk around on your own, with many shops and restaurants, and we are on our own here for lunch. After lunch, we’ll head to Arnaldo Caprai winery, a leading producer of the wine Sagrantino di Montefalco. If you have never had Umbrian wine before, you will be impressed. The Val d’Orcia is one of the most beautiful sections of Tuscany, which is one of the most beautiful provinces of Italy, which is one of the most beautiful countries in the world. We are in a good place! We’ll start our tour by visiting the city of Pienza, perched high above the valley and designated a UNESCO World Heritage Site. (The entire valley is designated a World Cultural Landscape.) After a quick historical walking tour of the city, we’ll head to a local farm that specializes in making pecorino, the ubiquitous local sheep’s cheese. We’ll learn about the process, have a taste of the fresh cheese, and eat a nice picnic lunch right on the farm. It is then on to Montepulciano, another famous hilltop town, where you will have an hour to wander the streets on your own. 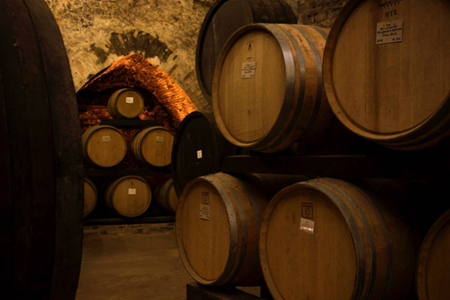 We then gather together again to visit Cantine Gattavecchi for a tour of their barrel room and tasting of the local wine, the outstanding Vino Nobile di Montepulciano. Heading back to Cortona, we’ll share a final meal together at the Locanda al Pozzo Antico, a fine dining establishment run by the owner Paola where we’ll try to outdo our previous successes with Tuscan cuisine. We’ll take a post-breakfast walk of Cortona, as Giovanni will point out some of the important sites that featured in Under the Tuscan Sun. You are then free to take the train or a shuttle onwards to Florence or Rome (Check out Extend Your Stay: What To Do in Italy). Or perhaps you’ll follow the theme of the book and decide to stay in Tuscany? Night 1: Antica Torre di Via Tornabuoni, Florence: An incredible hotel located in a tower built in the first half of the 13th century and situated in the center of the city. Night 2: Dievole, Chianti: An exquisite country retreat on 1,000 acres with vineyards that were planted as early as 1090 – over 900 years ago! Nights 3 &4: Palazzo Magi, Sansepolcro: Located in a 14th-century residence within the walled town of Sansepolcro, one of our favorite Tuscan towns and rarely visited by tourists. Nights 5 & 6: Villa Marsili, Cortona: Luxury hotel located in the center of Cortona, which sits high on a hill overlooking the Val die Chiana in central Tuscany. The Chianti region is situated between the Florence and Siena cities. This wine region began wine production more than two thousand years ago. It is a mountainous, forested region ... moremade fertile and green by plentiful winter rains and lots of natural springs. Its rough terrain has enabled farmers to grow only olives and grapes. For years this has been the original home of the native Sangiovese, Colorino and Canaiolo wine varieties. It is also home to the famous Chianti wines, which is named after its hometown. The Chianti area experienced some bad clashes that came up due to the never-ending enmity between the Florence and Siena cities. Chianti was desired by both the Empire and Papacy which ran all the towns in medieval Italy. It was a battleground of their soldiers an many army troops. 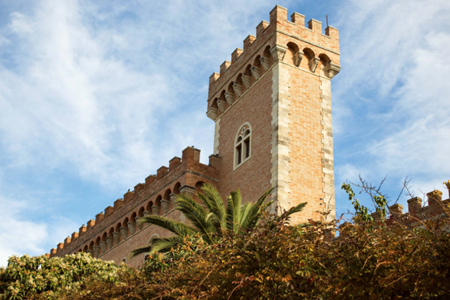 Up to this day, the Chianti area is still made up of small-fortified rural houses and castles. In this hostile environment, it is believed that it was the monks within the courtyards of their monasteries and protected by the high walls, were responsible for the olive oil production and growth of wineries. They kept the traditional cultural customs alive through the many years of wars and despite the near-destruction of some native wine varieties. Traditionally, Chianti wine is a mix of various grape varieties, with Sangiovese taking up most of the quantity. The Sangiovese originates from the mountains of the close by Emilia-Romagna. It has also been cultivated on the hillsides of Tuscan for the past several years, long enough to be considered indigenous. It has been popular since ancient times for its high and constant yield regarding productivity. One of its remarkable characteristics is that if it is grown in soils with different compositions, it tends developing new traits, with time becoming what can be considered a clone. Today, Sangiovese has over fifty standard clones, thus creating countless organoleptic features that arouse huge interest among wine enthusiasts around the world. Sangiovese possesses unique, tasty features: its light, highly concentrated in tannins and it's quite acidic. This means that wines typically made from Sangiovese are easily paired with a variety of food because it does not cover the taste of the food. Today we describe the value and quality of wines with their acidity levels, but in the past, it was a different situation. The goal was to tone down the aggressive features of the Sangiovese grape variety and sweeten it. Therefore, winemakers mixed the Sangiovese with more robustly-bodied grapes, such as Colorino and Canaiolo varieties which are more colorful, fruitier and spiced up with aromas. Additionally, to lower the alcohol content, a small percentage of white grapes like Trebbiano Toscano and Malvasia Bianca was added. The exclusive Chianti wine tour will focus on wine and food, but also be enlightened on its historical and cultural aspects as well as the landscape of one of the most stunning regions of the world. The Chianti region has produced many poets, artists, intellectuals, and explorers; it has inspired their works, their artistic expression, and their thoughts. Produced purely from Sangiovese grapes, Brunello di Montalcino is one of the most popular Italian wines in the world. It is cherished for its natural features and the unique combination of its aromas. It is produced using traditional, agricultural methods with gentle processes which do not damage the soil and the vines, hence enhancing the characteristics of the grapes, as well as the unique sensory qualities of the wine. The biodynamic agriculture movement began in 1924 when Rudolf Steiner, an Austrian philosopher was requested to give a lecture at a palace in Poland, in the city of Koberwitz. During the talk, he presented some of his impressive new concepts to the farmers who attended the lecture. Rudolf Steiner aspired to arouse a scientific-spiritual concern in the farmers so that they would take on better and healthier techniques in agriculture. His presentation was about the introduction of technology and new chemical products; he argued that the farmers were gradually straying away from the agrarian knowledge that had been passed down through the years. The ways of farming that were being used caused soil deterioration and a weakening of the plants that produce food. A hundred years later, it appears that the lecture is paying off: winemaking is now a branch of biodynamic farming that has spread far and wide. It is being appreciated in the entire world, and Brunello wine is one of its initiators. True to its roots and proud of its high-quality standards, biodynamic farming is a combination of modern winemaking methods and environmentally sustainable farming techniques that involve the use of organic fertilizers, biodynamically prepared from cow manure, medicinal plants, and minerals. The objective of biodynamic winemaking is to produce sturdy and robust vines so that the grapes that reach to the wine cellar are in good shape, healthy and flawless. These grapes will produce the Brunello di Montalcino wine, which is the highest quality of our region’s most specific varietal, Sangiovese. However, this Tuscan wine tour is not only about food and wine. Our expedition will take us to discover some captivating places and see fantastic views. The fields of the valley floor, where cereals and sunflowers are grown, represent the center of the framework of the rolling hills, marked out by rows of cypress trees and gradually giving way into vineyards, olive groves, and oak woods. This is all topped by a delightful medieval village whose erection began in the tenth century, although its origins probably date back to the Etruscan period. In the 1980s a new generation of Tuscan wines fruit was reborn. Super Tuscan wines originated in a challenging time for the Tuscan winemakers although it comes about due to the farmer’s ... morepassion of the sector. Responding to the restraining law, several wine makers started to ignore the traditional policies of wine production imposed by the consortiums. This led to the introduced of new vines from other nations, as well as new wine processing methods. This the beginning of new wines, which had an international touch. The set of laws established after the World War II to control Italian wine production showed to be insufficient considering the quality and diversity of Italian traditional wine products. They were primarily used to control the enormous surge in consumption that stood out for that historical period in Italy. Later, the government permitted the introduction of delimited wine areas, called Denominations of Controlled Origin (D.O.C.). Each of them had their consortium. The consortiums took on the position of controlling and guaranteeing the final quality of the product, a role even today they still play. Unluckily, the circumstances did not get better. The general trend of pursuing quantity instead of quality continued. The geographical regions permitted were too large to reveal the distinctive features of the areas; in addition, the minimum quality levels were often set too low. This state of affairs resulted into huge adverse effects in Tuscany, as it encouraged the production of mediocre wines. At this juncture that some wine producers decided to make wines did not follow the rules established by the consortiums. They would make the unique wine of each territory. The worked hard in the vineyards, producing high-quality grapes but meager yields per hectare. The new techniques used barrels that were different from the traditional ones. This offered reasonable expectations of success. Also incorporating research and development, the producers managed to obtain top quality wines. These Tuscan wines soon became the famous wines of the most modern companies, easily outshining the more traditional wines. 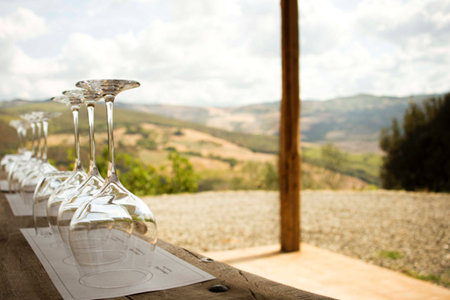 The great Tuscan wine tour is an opportunity to discover two local wineries. Both wineries are situated in the Chianti wine region. One of the local wineries exclusively produces Super Tuscan wines; the other creates both Super Tuscan wines and the Chianti Classico label. Vernaccia di San Gimignano is one of Italy’s ancient wines. Its name Vernaccia di San Gimignano is similar to the grapes that make it. According to several official historical documentation, ... morethis Tuscan wine was first produced in the early 13th century. This white wine is grown in a region which predominantly produces red wine. The Vernaccia di San Gimignano wine was first officially mentioned in 1276 on the tax records of San Gimignano municipality. The documents showed the tax imposed on each load of the white wine that was exported from the city of San Gimignano. Other documentation that mentioned the wine included purchase receipts by Vernaccia Suppliers who were tasked with the responsibility of purchasing the best Vernaccia wines on behalf of the San Gimignano Municipality. The Vernaccia vine was initially introduced in San Gimignano from Vernazza, Liguria in the year 1200. It was introduced by Vieri de’ Bardi. The vine was further cultivated by Angiolo Bardi and Zanobi, the children of Vieri de’ Bardi. The Vernaccia wine later becomes very prominent that it was mentioned by the famous Italian comedian, Dante Alighieri in his comedy shows. In the 1500s Vernaccia production increased, and it was sold in Tuscany and all over the world. It became very popular with the high-class families. However, in the early 1800s, it started to experience a steady decrease in popularity and hand a rebirth in the 1930s. Vernaccia highest production was only realized in the 1990s. Currently, this Tuscan wine is highly valued, and it is rated among the best Italians white wines. On this Tuscan wine tour, you will learn the different features of this simple yet elegant white wine, whose production varies among the producers. With golden reflections, the straw yellow Vernaccia wine features floral and fruity aromas, which with age it becomes better and better. It is often flavorful, fresh and dry. It pairs perfectly with a variety of cuisines especially classic Italian summer foods such as fried, steamed, or raw vegetables. It also matches well with white meats, fresh cheese, and salads. On this wine tour, you will explore two local Tuscan wineries. Also get an opportunity to learn the winemaking process and know the producers of Vernaccia wine. The wine tour also entails a homemade lunch at the vineyards accompanied by some wine tasting. We welcome you to a tour where you will get a chance to cycle to mystical monasteries and hilltop villages brimming with beauty and picture-postcard sceneries. You will receive a warm ... morewelcome from the residents of renowned medieval hill towns. Tuscany offers you a chance to share in the best of Italian life with its original cuisine. The beauty of the countryside resembles a painting with a thousand colors; the yellow of the sunflowers, the red of the poppies against the green of the wheat, the white and pale pink of the tiny little medieval villages perched on the hillsides, the silver-green of the olive groves, to name but a few. This excursion will take you to olive oil regions and wine territories, Roman and medieval villages, allowing you to experience Tuscany at its best. Day 1 - Arrival in Arezzo. You will be met by your guide once you arrive in Arezzo, who will welcome you to Tuscany. You will start with a detailed trip briefing and bike fitting, which will be followed by a guided stroll of the town, once a picturesque backdrop for the Oscar-winning film “Life is Beautiful” (La Vita e Bella). Upon entering the city, you experience the sensation of one of stepping back in time. You will be amazed by the churches, ruins, monuments, parks, and squares that carry with them secrets of generations of Tuscans who have built and preserved this amazing city. In the afternoon you will have an opportunity to test out your bike as you engage in a warm-up ride. Day 2 - Arezzo and Chocolate Villages. You will enjoy a morning loop ride starting in Badia di Pomaio. In the afternoon, you will have a chance to meet with a passionate chocolatier outside Arezzo where you will learn about the ins and outs of Tuscan artisan chocolate production. After the visit and tasting, you will stop by the various food shops in town where you will sample other local culinary delights. Day 3 - Hiking Hannibal's Route to Lake Trasimeno. In the morning, we will embark on a lovely hike from Tuoro Sul Trasimeno, located a few miles east of Cortona. You will explore the site of one of antiquity’s renowned battles. In 217 BC, some 16,000 Romans were executed after a cunningly planned ambush carried out by Hannibal and his army under the consul Flaminius. This crucial historical battle is described on the numerous attractive panels and signposts that you will encounter along the way. This route is famously called the "Hannibal's Route." Day 4 - Cooking and Biking in Cortona. After breakfast, you will start your ride from Cortona to the natural Fierli farm. Here, you will learn all about Chianina cows, the Cinta Senese pigs, and how this family is consciously curing and processing meats. Your destination is at a special villa, the Villa Rosa dei Venti, where you will spend the next two nights. This villa is run by Barbara and her mom, Lucia, and it was once a former summer getaway villa for counts. The villa serves as a marvelous base for sampling, cooking, sipping, swimming, and relaxing. You will enjoy the night at an informal cooking demo and Tuscan wine tasting and overview with Bernardo, a regional Florentine sommelier. Afterward, you will be treated to a delicious dinner in a local tavern. Day 5 - Cortona Extensively. You will ride from the villa the next morning, where you will follow a Roman road through vineyards and olive groves on your way up the hill to Cortona. You will enjoy a guided visit of the town and afterward have free time to browse the tremendous boutiques and art galleries. You will take a stroll through Cortona’s vast weekly market, as you stop to sample local products while you meet with local farmers. In the afternoon, you will have the option for a dip in the hotel swimming pool or a loop ride. You will dine at the villa for the two evenings during your stay. The Micheli family produce their own olive oil and wine. Before dinner you will engage in a comprehensive tasting comparison of Tuscan olive oil along with a variety of oils from other regions. Day 6 – Pienza and Montepulciano. 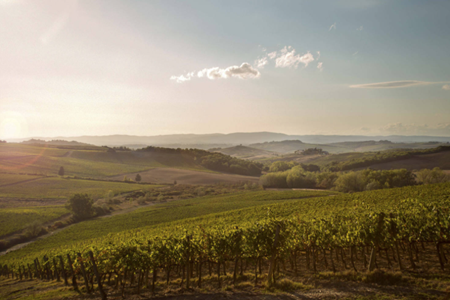 You will enjoy a ride across the valley on your way to a winery below Montepulciano, renowned for its fine wine. Vino Nobile though not as celebrated as Montalcino’s Brunello, produced one of the initial four wines to have received the high acclaim of the appellation DOCG by a branch of the Italian government, guaranteed from controlled origins. After the visit and tasting, you will proceed to the city of Montepulciano where you will encounter diverse boutiques, food shops (botteghe), and stone-covered lanes. In the late afternoon, you will transfer by van to the picture-perfect Val d’Orcia on your way to San Quirico d’Orcia, your final destination. Day 7 - Wine and Pecorino. The day's ride follows the route from San Quirico d’Orcia to one of the great architectural and urban gems in all of Tuscany, Renaissance Pienza. You will have a chance to participate in a cooking lesson as you enjoy lunch with local cook Angela and her family just outside the village. You will roam through her natural vegetable garden and get a chance to cook together in her wonderfully original Tuscan kitchen. You will also participate in Pecorino cheese lesson and tasting. You will return to San Quirico by bike or van transfer. At night, you will be treated to an ultimate celebration dinner in San Quirico. You will enjoy a last delicious breakfast as you bid Tuscany farewell. Arrivederci! We welcome you to a trip where you will spend an unforgettable week as you experience the passionate culture of Southern Italy. The region of Puglia is renown as the sun-drenched heel ... moreof the boot resting between the Adriatic and Ionian Seas. Basilicata is another agricultural region that neighbors Puglia to the west. These two regions are abundant and boast over 50 million olive trees as well as a tradition of wine production that has flourished over the last ten years. The wine from both Puglia and Basilicata is highly regarded by a majority of wine enthusiasts as some of the most exciting wine in the world. Once you arrive in Bari, you will be transferred to the stunning Matera, which is a UNESCO world heritage site. You will explore the "Sassi" medieval cave dwellings in the company of your guide. Afterward, you will enjoy an aperitivo and dinner served at an award-winning trattoria. We welcome you to Southern Italy! You will start the day with a visit to a bakery in Altamura, where you will experience an up close and personal moment on how bread is made by the locals. After a light lunch, you will hike through the ravines around Matera, covered with prehistoric caves, many of which contain spectacular frescoes inside. At night, you will be on your own for dinner, though our local guides will brief you on the best places to eat. You will serve Breakfast and Lunch inclusive. Once you check out of the hotel, you will be transferred to Conversano, a town located on the hilltop. Here you will be fitted to your bicycle to start a memorable bike ride down to the lovely coastal town of Polignano a Mare. Here you will get an opportunity to explore the prominent coastline as you visit the sea caves by boat, followed by a light lunch. Afterward, you will ride your bike (uphill but with a gradual grade) back up to Conversano. Your hotel here has a magnificent spa. You are free to explore the town's restaurant scene on your own as recommended by your guides. You will be served Breakfast and Dinner inclusive. Day 4 - Cooking and Cycling in Monopoli. The day's ride leads you into the northern stretches of the Itria Valley, which is filled with nut and cherry trees along with the traditional dry stone Trulli houses distinct to the region. If time allows, you will stop at the farmers' market where you will collect ingredients for the night's cooking class. Afterward, you will descend to the coastal town of Monopoli, renowned for its cobblestoned streets, seawalls, and a beautiful castle. You will have free time to shop, explore, and have lunch before the ride back to Conversano. At night, you will get fully immersed in Pugliese cuisine and traditions at the country kitchen of Mara and Marina, our friends. Marina is also an experienced sommelier and will ensure you have perfectly paired wines with your authentic dinner! This experience involves garden-fresh seasonal ingredients, traditional techniques, and recipes, as well as fine wine, collectively designed to engross you in the heart and culture of southern Italy. You will be served Breakfast and Dinner inclusive. Day 5 - The Trulli and Burrata Day. After taking your breakfast and checking out of the hotel, you will take a brief transfer to Alberobello for a hasty hike among its Trulli houses. Afterward, you will be back on your bike for one of the most scenic rides in all of Puglia. You will stop at a dairy farm where you will learn the secrets of mozzarella cheese making while you enjoy tasting the delicious burrata cheese. This activity is subject to change in case of custom departure falling on Sunday. The ride will turn back to the coast, to give you a chance to admire dramatic vistas all along the way. Your accommodation for the night is in a breathtaking castle and estate. You may opt to relax by the pool or go into the kitchen for yet another first-hand culinary experience. Either way, you choose, dinner is guaranteed to be delicious. Day 6 - Hiking and Olive Oil in Pezze di Greco. You will enjoy Puglia’s amazing landscapes, rich history, and phenomenal local produce. During the hike, you will have an opportunity to experience these three blessings of Puglia first-hand. Your hike will begin at the archaeological site of Santa Maria D'Agnano, famous for the discovery of a 20-year old pregnant woman 'Delia,' whose ancient remains date back 25 millennia. As you hike past the site, you will get a chance to see plains full of olive trees stretching towards the coast. Afterward, you will hike to an olive oil mill located on an estate that has been active for thousands of years. You will learn about the history and tradition of olive oil production followed by a private picnic and tasting on the property. Be careful not to eat too much and miss out on tonight's dinner; a six-course, very special meal at the famous Masseria Il Frantoio! You will be served Breakfast, Lunch, and Dinner, inclusive. Buon appetito! This morning we say 'arrivederci' to mark the culmination of your Puglia adventure. You will be transferred to Bari as you depart. The coastal lands in Tuscany have never been thought of as good for wine production, but that’s longer true. These were the initial piece of land in Italy to produce wines, farmers ... morethen slowly lost their interest in winemaking. The autochthonous grapes made high quality than other areas of Tuscany. However, in the 1980s one man’s efforts, rediscovered the lands winemaking roots. This Super Tuscan wine tour will let you explore two charming Tuscan hilltop villages: Castagneto Carducci and Bolgheri which form part of the Etruscan Coast. The Etruscans were the earliest inhabitants of Tuscany. They first arrived on the Italian peninsula by sea and settled along the coast. They are believed to come from the east from a region in Turkey called Lydia. Winemaking tradition becomes strong on the Tuscany coast due to the tremendous commercial trade among the Etruscans and other Mediterranean civilizations, especially with Greece, through which vitis vinifera (vine) was introduced into Italy. As years went by, the people of the Tuscan coast steadily lost interest in winemaking. Although areas such as Chianti, Montalcino, and Montepulciano continued to be famous for excellent wines thanks to their native grapes, especially Sangiovese when they were grown on the coast, Sangiovese varieties could not express their full potential. In 1944, things began to change, Mario Incisa della Rocchetta, choose to plant approximately one thousand vines of French Cabernet Sauvignon vine, originally from the estate of the Salviati dukes. Incisa’s first attempts to make wine with the vines did not produce perfect results. Nevertheless, Mario did not lose courage and managed to find some land on his property where he grew the Cabernet Sauvignon grapes. This was a primarily a rocky terrain, called Sassicaia. Within a few years, the wine was successful; it was recognized internationally which encouraged a new way of thinking about wine production in Tuscany. This Super Tuscan wine tour aims to offer you an alternative perspective of Italian wines. 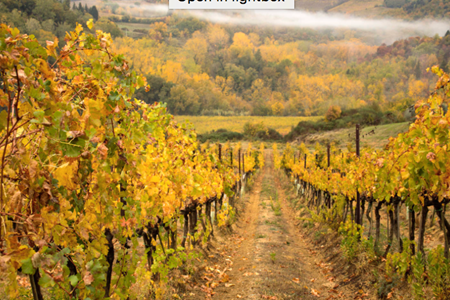 During this wine tour, you will visit small local Tuscan wineries, which initially belonged to pure peasant families. Despite their humble origins, they now boast international awards. Also, we will also visit biodynamic and organic vineyards which use natural winemaking techniques. Produced predominantly with Sangiovese grapes, and an interesting native clone called Prugnolo Gentile. Nobile di Montepulciano wine is distinguished by its soft tannins and its classic ... morehint of plum. It is a fine, full-bodied wine with an intense, fruity bouquet. It has a lively freshness and a warm fruitiness; its tannins are intense, but rounded by a long aging in wood. Nobile di Montepulciano wine is savoury and characterized by earthy and underbrush notes; however, it is not as mineral and austere as most other Tuscan wines. What's your fancy? Dry, Brut, Extra Dry, Col Fondo, Tranquillo or Frizzante? We’ve teamed up with some of the most experienced local sommeliers to design a 2-hour professional masterclass ... morethat leaves you with the tools to make the most of your Italian wine trip. During this Masterclass, you will be introduced to the world of Prosecco; you’ll learn about specific traits of the different blends of Prosecco, its history, culture, and characteristics of the territory you will be visiting. 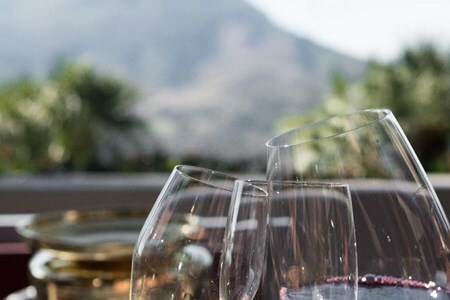 Naturally, you’ll get to taste 4 different varieties of the finest Prosecco wines alongside a selection of seasonal local delicacies such as charcuterie, cheese, and bread. Join us as we Spend the day exploring the charming Umbrian scenery with a sociable and well-informed local driver. You will make stops to traverse medieval cities such as Spoleto, ... morerenowned for its tower bridge, fortress, and Duomo, or the less-visited and striking village of Spello. You will enjoy a winery escapade, as you taste. You will enjoy lunch at one of the most ancient wineries in Montefalco, famous for stellar Umbrian wines from the regional Grecchetto and Sagrantino grapes. We welcome you to a full day tour of the Chianti region with a hospitable and well-informed local driver and soak in the alluring Tuscan countryside. You will visit a family-run winery ... morefor a wine tour, tasting, and lunch rich in regional specialties. You will stop in the attractive ancient villages of Castellina and Greve in Chianti, where you will have time to enjoy a self-guided tour. We welcome you to a family-run cooking class, where several darling Italian nonne offer first-hand instructions on how to master the art of Umbrian cooking. The cooking class is done ... moreat an intimate agriturismo where much of its produce is grown. It also prepares its own jams as well as other artisanal items. After the class, which offers you an opportunity to prepare fresh pasta, you will eat savor what you have made, as you enjoy a sumptuous feast of your labors as well as other courses! We welcome you to a food tasting tour through the Emilia-Romagna and Parma region, the food lover’s paradise. 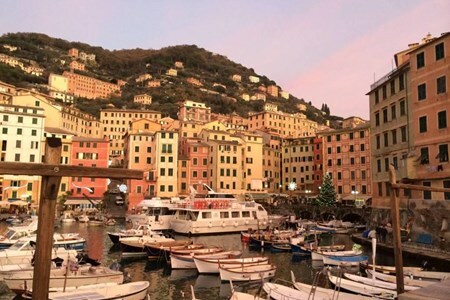 You also head to Liguria, home to the Italian Cinque Terre and Riviera. 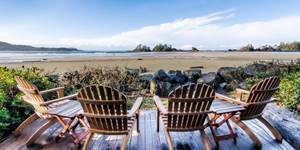 ... moreThere you will soak in the spectacular coastline, as you visit seaside towns and feast on fresh seafood caught by local fishermen the same day and pesto. You will meet the tour leader and your fellow travelers in Florence to start your escapade to Parma. On the way, you will stop in Modena, for an excursion, lunch and tasting at one of the most recognized makers of balsamic vinegar in the region. You will head on to nearby Parma, a captivating town with its fashion boutiques and food shops. You will check into your hotel and enjoy the rest of the evening settling in and traversing on your own. You will kick off the day’s culinary adventure with a private excursion and tasting at a regional producer of the famed Parmigiano Reggiano. You will learn about the art of cheese-making and savor prosciutto di Parma; another Italian delicacy. Lunch will be served at the nearby winery producing Lambrusco, the classic fine local wine. You will sample vino while savoring tortellini pasta paired with cheeses. You will head back to your hotel, as you admire the panoramic views of the lush countryside. You will travel from inland Emilia-Romagna and head to the Italian Riviera and coastal Liguria. You will arrive in the Cinque Terre to enjoy your first meal by the seaside. You will enjoy the horizon-hugging views as well as the dramatic architecture of cliffside scenery facing the Tyrrhenian Sea. Afterward, you will head to your hotel in a nearby village to relax for the rest of the evening. 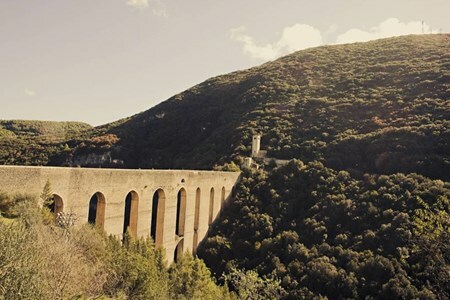 You will explore the Cinque Terre including the five candy-colored, and seaside towns, connected by a footpath and rail line. You will visit one or two of the towns by train. You will break for a relaxing alfresco lunch in one of the villages, either vista-rich Vernazza or Monterosso al Mare, for a delicious feast of local delights prepared by a chef and friend of the Ciao Andiamo family. Party along the beautiful seashores of southern Italy. Discover the perfect beaches along the Adriatic and Tyrrhenian coasts, also awarded the World Heritage sites by UNESCO. 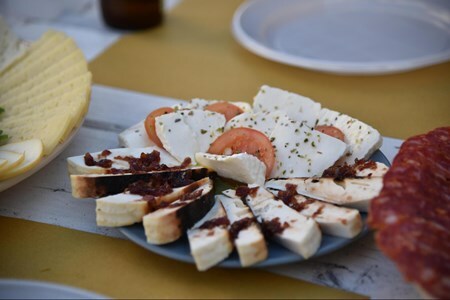 Discover ... morethe old-fashioned towns overseeing historic cliffs while indulging in delicious food paired with fine wines and the regional specials including mozzarella burrata, olive oil and seafood. You will love this tour because we'll visit a unique city of Matera with a knowledgeable guide. 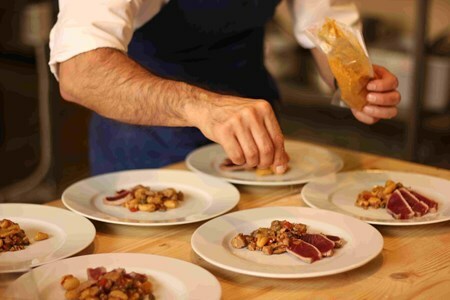 Experience a hands-on cookery lesson in a trullo home. Also learn how the local digestive, limoncello is produced. Meet the tour guide and other visitors in Rome. Travel to the south to Puglia commonly referred to as the "heel of Italy's boot." On the way visit Matera a unique city, a land rich in history. The tour guide will lead you to the renowned "Sassi" settlements. Sassi is homes built inside the caves and have been acknowledged as a World Heritage site. Afterwards, make your way to Polignano or Monopoli to check into your hotel before having dinner with the other visitors. Begin the day with a private tour led by our guide. You will visit the memorable Alberobello and the exceptional "Trulli" also a recognized world heritage by the UNESCO due to the royal white homes featuring conical domes. Later in the afternoon, you will learn new Italian cooking skills in an authentic trulli home. The cooking class will be facilitated by an Italian granny where she will share traditional recipes passed down for generations. Start the day by relaxing in your room or take a leisure walk through the city. Then in the afternoon visit the beautiful Adriatic coast and see the attractive towns such as Ostuni, Polignano a Mare or Monopoli with the stunning limestone cliffs. Along the way, stop at one of the smaller villages of Amalfi Coast to enjoy a gelato and unwind before heading to your hotel in Positano. In the evening enjoy traditional cuisine at a local restaurant where you will find all the local specials. With the favorable weather, we make our way to the memorable Capri. It is a historic royal town. Enjoy sumptuous lunch at a friendly restaurant with beautiful views of the Faraglioni, the beautiful rock formations that protrude out of the clear waters surrounding the Capri. Later head back to Postiano to enjoy the evening. Start your day with a stroll to the town maybe shop some wines and olive oils you have learnt during the tour. In the afternoon, sightsee the lovely Amalfi Coast with its incredible shoreline spotted with picturesque and distinctively constructed towns built on the hilly green side. 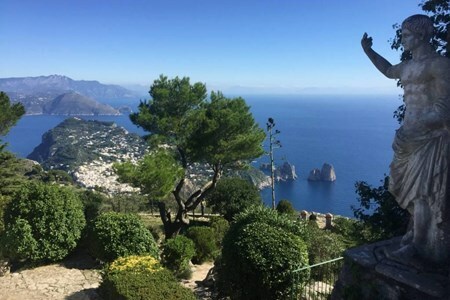 Stop by the Ravello to enjoy the coast from the Villa Cimbrone with its antique statues and charming gardens. Later head to the top of the coastal cliffs to enjoy sea cuisines where the restaurant owner will showcase how to produce limoncello, a digestive drink made from delectable lemons grown in the region. As you head back to Rome, visit the ruins of Pompeii, a town that was frozen 2000 years ago by an eruption of Mount Vesuvius. The tour guide will lead you through the history of this vital city then return to Rome. On this culinary adventure taste all there is in the Umbrian countryside as well as polish your cooking skills. Famous for its luxurious countryside which is plenty of fresh foods, ... moreUmbria is the only place to refine your culinary skills. Umbria is also referred to as the green heart of Italy. On each day of the 6-day tour, you will learn how to make Italian cuisines. Get practical, with three hands-on cooking classes which include pasta making. 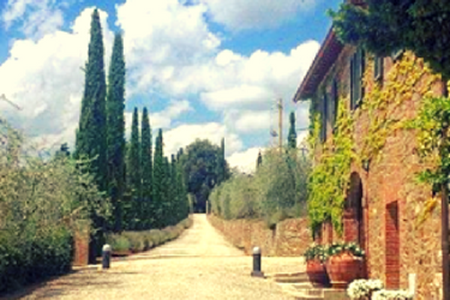 The cooking classes will be taught by a professional chef in his home on the posh countryside of Orvieto. Taste five different homemade meals matched with lots of wine. You will meet other visitors and the tour guide at one location in Rome then You all head to Umbria. 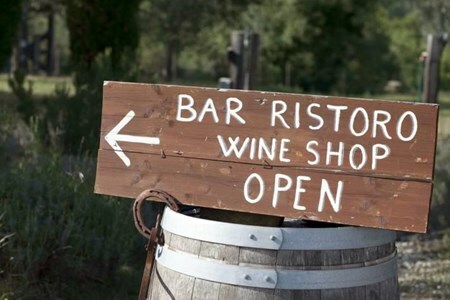 Start the excursion with a visit to wine production, agriturismo. This will introduce you to the wine culture and the food traditions in Italy. After Lunch and the long session of wine tasting, you will arrive in Montefalco to check into your hotel and rest through the entire evening. Start your day by exploring the town on your own in the morning hours. After lunch visits a closeby old village to begin the culinary adventure with Italy's most famous cuisines which are Pizza. You will tour a local flour mill and know all about the production of different grains and wheat used for pizza and bread. You will also get an opportunity to knead your dough from scratch. Afterwards, enjoy a glass of wine with fellow travelers as you wait for the dough to raise in a typical wooden oven. Add some final touches to the bread and enjoy the classic Italian pizza, hot from the oven. 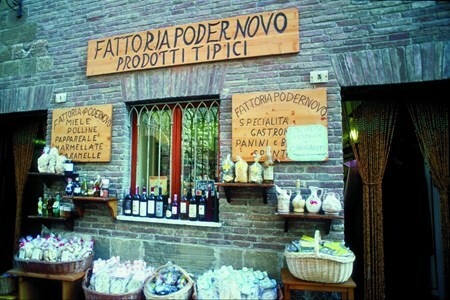 The day starts with a visit to the stunning hilly town of Orvieto, where you will interact with a famous local chef. In the real Italian culture, the chef will welcome us into her lovely home in the beautiful lush countryside with breathtaking views. 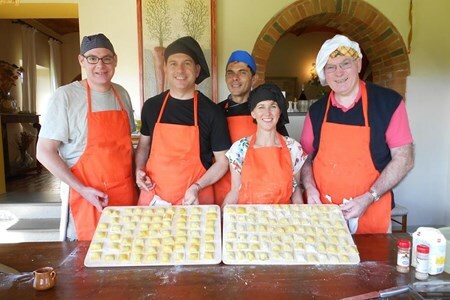 You will learn how to make pasta by hand and gnocchi which is an original Italian dish. Afterwards, you will delight in Italian dishes paired with lots of wine. Then later return to the hotel to unwind through the evening. The morning starts with a visit to a neighboring Bevagna village. Here you will meet a winemaker who is also a shepherd who will take you through the history and traditions of cheese production in the area. Tour the farm to observe all the steps from the sheep to the machines and to the rooms where cheese is aged. Later delight in a banquet of Umbrian meats and cheeses matched with the region's famous Sagrantino wine. This day is all about desserts. After relaxing through the morning session, we make way to Cortona to meet an artistic gelato maker. Your trip to Italy would not be thorough without a perfect gelato. On this class, you will be taught by the finest with the freshest, high-quality constituents. After you have had an opportunity to make your gelato, savor a delicious regional special as you wait for the gelato to chill. Then later enjoy you dessert- gelato. As you head back to Rome, relish one last culinary experience. Whatever experience you wanted to have indulged in it. Whether an olive harvest, a truffle hunt or visit a renowned Deruta pottery maker, return to Roma with your heart's content. On this tour explore the Italian countryside while delighting in private wine tastings at hidden wineries indulge in buffets and discover local farms, great hilly towns, and arty treasures ... moreamong others. Get practical with hands-on culinary classes up in the hills in Assisi Enjoy a unique cooking experience that change with the season such as truffle hunting, olive oil pressing, olive oil tasting, o wine harvesting. 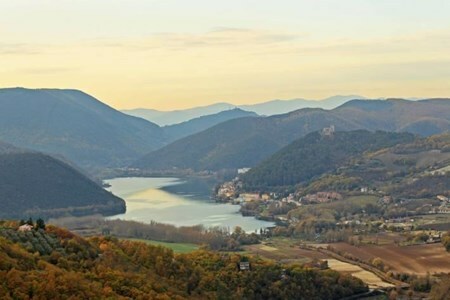 Journey through the Umbria's Sibillini Mountains and national park, enjoying the spectacular views of the countryside. Meet up with other visitors and the tour guide in Rome and make your way to Umbria. Once you arrive delight in a delicious lunch consisting of classic Umbrian cuisines in an amiable Umbrian hilltop town. This will be followed by a wine tour and sampling at Montefalco, where the best Sagrantino grapes are grown. Head to your hotels to unwind, have dinner and prepare for day two. Travel deep into the center of Tuscany and visit two towns. First will visit the quaint Pienza town, which is identified for sheep farming and production of pecorino cheese. We will also visit Montalcino, which is home to the Brunello. At the rural area, will tour wineries, taste wine and have enchanting lunch, with an exclusive collection of Tuscan wines and regional specialities. Later drive through to the historic centre, Cortona and enjoy the beautiful vast views of the rolling hills. Star the day with a leisure session in the morning. Later head to Assisi town with the tour guide to the Majestic Basilica di San Francesco. Explore the Assisi village then in the evening get blown away by the thrilling la Cucina Italiana. It is a cooking class run by a family, in an agriturismo, up in the hills of Assisi. As you learn you will also sample some wine, prepare the dishes taught and get to feast on them later. Start your day by exploring Montefalco the whole morning on your own. Later in the afternoon tour the Spotelo, a medieval village known for its Tower Bridge, fortress, and Duomo that is right in the Umbrian forest. End the day with dinner at the traditional pizzeria in Spello, the walled city. After a buffet breakfast, end the tour with a visit to Orvieto, an Umbrian hilly town featuring conspicuous gothic Duomo and pleasant cobbled streets. Stroll and discover the village before heading back to Rome. The “Introduction to Tuscan Cuisine” is a cooking tour designed by Good Tastes of Tuscany to let you enjoy Tuscany as a land of authentic and traditional food. Here, you will discover ... morethe secrets of our traditional dishes taught by Italian Chefs and you will experience gems such local markets, Chianti region and its wine, small towns and much more: discussions on the history of Tuscan diet, typical dishes and bread, peasant foods and, above all, how gastronomy has changed throughout the medieval and renaissance ages up until modern times. All of this, with a hands on approach that will guide you into the preparation of our traditional recipes, perfecting the skills of Tuscan cookery in the original kitchen of the 14th Century Villa Pandolfini and the 13rd century Tower Pandolfini. 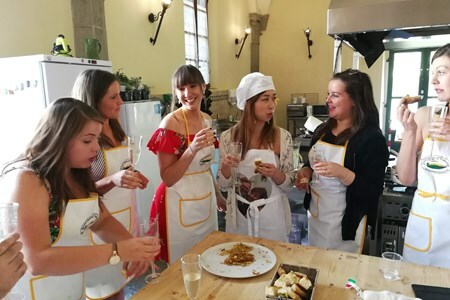 If you love Tuscany, then this is the cooking tour you have been looking for: charming medieval town, people and their culture, centuries old traditions, art and culture and, of course, the great food and wine of the Good Tastes of Tuscany. Orientation and ‘Benvenuto’ to meet the Chefs and your hosts, who will be with you for the cooking vacation. The entire group will arrive after lunch and settle into their accommodations, having time to explore the estate, relax and freshen up for the ‘Benvenuto’ which will take place in the villa’s historical 14th century kitchen featuring the original stone fireplace, marble sink and vaulted ceiling. The kitchen will be the heart of this gastronomical adventure. Participants will receive their recipe books and course guidelines. Partners are also welcome to join. You will feast on traditional Tuscan fare of the season and enjoy the estate’s wine. Meet your chefs, who by the the week’s end will become your lifelong friends! The dinner class is prepared by the chef. This day we have designed to give you an introduction to the Tuscan countryside, it’s people, history and the culture. We will share with you first hand the origins of Tuscan produce which is the soul of this land’s cuisine. This will be an authentic travel experience visiting medieval villages, admiring impressive castles and witnessing centuries of history whilst driving through the green Chianti valleys, the Sienese Crete which is farmhouse for it’s red earth and the magnificent Val d’Orcia. In this area, the ‘Gladiator’ film was also made and the most photographed row of cypress trees. Throughout the day the group visits a charming vineyard estate where everyone has the opportunity to tour the cellar, learn about the winemaking to savour their wines including Brunello, olive oil, cheese and salami and enjoy a light lunch either at the vineyard’s restaurant or in one of the quaint village trattorias. Then we continue onto the characteristic towns of San Quirico and Bagno Vignoni, famous for the natural hot springs. Relaxation time in Pienza, a quaint village famous for the pecorino cheese, made for centuries in a huge variety of methods, the small shops decorated with the incredible varieties are eager to have you taste them. The village is full of lovely shops selling crafts and local produce and the view overlooking the Val d’Orcia is absolutely spectacular. Dinner is at our local pizzeria then home to rest your weary heads before getting started with the lessons of the cooking tour! Breakfast in your villa and then head to the kitchen for your cooking class, there will be a hot pot of moka coffee to greet you and your tuscan chef , the 5 course cooking class will finish in lunch prepared by the students around the long tuscan table. Afternoon – Free Time. The group can relax or opt to choose additional activities and tours offered in our ‘ Additional Activities’ program. Dinner: if you can fit it in after the five course tuscan lunch can be enjoyed at your villa with your group, a glass of Chianti wine and a cheese and meat platter from your basket. Also today’s cooking class will finish in lunch prepared by the students. Afternoon Florence or – optional afternoon tour (to be paid separately) ‘Chianti & San Gimignano’. You either have the choice to relax and do your own thing or join us on this afternoon trip where we will take you through the hidden country roads through the glorious Chianti region of Tuscany. We will take you to an ancient Abbey which has a spectacular view over the vineyards of one of the top 2 winemakers in Italy. You will also have the opportunity to taste their wines. Winding through these country roads, admire & enjoy breathtaking scenery and some of the most charming Chianti villages. If luck allows, you may also get to listen to the famous ‘Dante reciting’ butcher! People all around the world come to this little town in the hope that they hear his ‘pose’. The group will then visit a farm where ‘Chianina’ cows are raised; and here is where we will settle and relax for a wonderful meal while enjoying the view up to the medieval town of San Gimignano. You really will feel like you are part of another century! Visit to ‘Mercato Centrale, Lunch and afternoon in Florence’. The group will leave the estate in the morning to travel into Florence to visit the famous ‘Mercato Centrale’ , Florence food markets. Meet the chef or the guide here and they will guide you through the multilevel marketplace where for centuries Florentines have purchased their fresh produce. Take a glimpse at an amazing Florentine tradition and then eat lunch together, shoulder to shoulder with the Florentine people. When time allows we also include a historic tour with the guide of Florence to expose you to what this incredible city is all about from the time of the Medici’s. After lunch you are all free to enjoy Florence, to go shopping in the leather markets, try the best gelato in the world and walk the stone streets enjoying this romantic and enthralling city. Do not forget to rub the boar’s nose so ensuring your return to Florence. For those who wish to have a personal guided tour of Florence or museums. Evening dinner at a historical Florentine famous restaurant with us after dinner you will be brought home. In the hotter summer months the dinner may be in the country on the Florentine hills in which case returning home after your day, have time to freshen up, and then experience another incredible Tuscan meal and beautiful setting. The day’s cooking will finish in a 5 course lunch prepared by the students. Afternoon – Truffle hunting (seasonal) or Free Time. The group can relax or opt to choose additional activities and tours offered in our ‘ Additional Activities’ program. Italian breakfast at a bar with pastries and steaming cappuccino then Hand Painted Ceramics, lunch, another unforgettable culinary experience and the farewell cooking class dinner. This morning we start with stop at the local bar to savour the pastries and coffee whilst witnessing the Italian not so slow breakfast. We are going to share with you one of the centuries old crafts, that is still alive and well today- hand painted ceramics!The visit to a local ceramic manufacturer ,see the products being spun and painted and have the chance to purchase directly from them. They can then ship to anywhere in the world. Off then to visit either a local winemaker which has marvellous underground cellars or to one of the nearby hill towns through the winding hills to reach a magnificent Medici villa which we will visit and get an insight into the incredible word of the Medici family and the last royal family of Italy. Lunch in the Hamlet of Artimino. The group will then be taken to the nearby medieval hamlet of ‘Artimino’ which sits on top of a hill overlooking the vineyards and farmland of Etruscan times. From this hamlet you can also look over to another of the Medici Villas.The opportunity to admire this magnificent villa, famous for the 100 chimneys, this differs from the previous villa in that it was not a residence but a hunting lodge. Dine at a very famous restaurant with incredible views, in the summer and spring we sit on the terrace and in the winter in the old restored farmhouse converted to a restaurant. We then head back to relax before the cooking class begins in the afternoon. 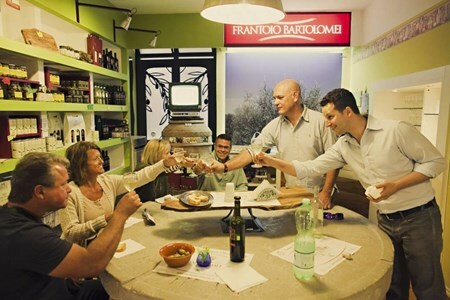 5pm 10pm- Cooking Tours Italy – farewell dinner cooking class. The purpose of today’s cookery class will be the preparation of the farewell dinner for the entire group! At the grand finale dinner participants will be presented with a certificate of attendance. Along both our daily classes, you will receive a copy of our Ultimate Tuscan Recipe Book. During the “Italian Immersion” one-day class, you will receive a Good Tastes of Tuscany signature apron. There will be hands-on instructions given throughout the day and also tips and new techniques given and explained by our Italian Chefs. We recommend with great pleasure some of the finest local wines, to accompany the diverse dishes. Taking photos is encouraged as well as drinking wine and singing along with your favorite Italian Opera, as we prepare our feast. Discover step by step how to make a satisfying full Italian menu, from the antipasto appetizer to dessert, including the art of making pasta fresca! Learn to cook pasta such as tagliatelle or pici in this fun hands-on pasta making adventure. After you prepare your pasta, the chef will help you to a prepare tempting sauce to accompany it such as fresh basil pesto, Ragout of wild mushrooms, sweet onion meat, duck ragout and an array of other sauces. The second course is a meat or fish dish with a vegetable contorno , then the tuscan dessert! There is also an Optional Additional Market visit with the chefs for €45 per person (minimum 2 persons to hold the market visit). Recipes vary according to the season and we utilize only the freshest ingredients available for this Tuscan experience. The best part is the conclusion, which indulges in the success of your creations. 09:30 – Meet our driver at our central meeting point in Florence and begin your short 20 minute ride to the Villa Pandolfini, where you will meet your chef and begin your one day class. 10:00 – Begins with highlighting the history of Tuscan cooking and presenting the day’s menu. Be prepared to roll up your sleeves for hands-on preparation of a glorious meal in one of our two authentic Tuscan kitchens. 13:00 – Enjoy the fruits of your labour – Eat the epic feast that you just created complemented by the estate’s own Chianti wine and extra virgin olive oil. Do you want to expand your collection of Italian recipes? Get ready to savor some traditional and innovative Tuscan specialties. Learn how to prepare a beautiful Tuscan meal that will impress even the most experienced foodies. This class focuses on stuffed pastas such as the ravioli and on sauces. We also teach you to cook a perfect risotto beginning with making the broth and also the main course (meat) and the dessert. This meal will be from 5 to 6 courses and it comprises of two antipasti, two first courses such as a ravioli risotto or gnocchi, a second course with one or two side dishes and a delicious dessert. Each of these menu selections is unique to the area in flavour and in execution. When you add these well tested recipes to your collection, you will be bringing home a slice of Tuscan culinary history! There is also an Optional Additional Market visit with the chefs at €45 per person (minimum 4 persons). The Good Tastes of Tuscany Classes indulge in the fruits of your labour accompanied by the Chianti wine extra virgin olive oil produced here on the estate. 09:30 – Meet our driver at our central meeting point in Florence and begin your short 20 minute ride to the Villa Pandolfini, where you will meet your chef and begin your culinary class. 10:00 – Begins with highlighting the history of Tuscan cooking and presenting the day’s menu. Be prepared to roll up your sleeves for hands-on preparation of a glorious meal in one of our two authentic kitchens. Professional chef Fabrizio from “Mangiardivino” will follow you step by step explaining the richness and quality of local products That Tuscany produces. Find local tasting tours & activities in Italy. Sort by location, theme, tasting, activity, day, duration, price etc.